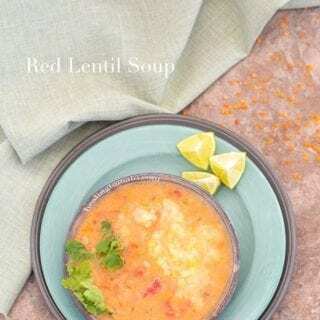 Pressure Cooker Red Lentil Soup is really easy to make. Dump all your leftover vegetables into it along with red lentils and pressure cook them for 20 minutes. It’s the easiest one-pot recipe to make and very little cleanup required. Oh my gosh! I love my pressure cooker so much! It makes my life so much easier. All I have to do is dump all the ingredients into it and let the pressure cooker do all the work for me! This time, I made a red lentil stew and it was so very very delicious!! My first recipe with the pressure cooker was this Cuban Picadillo and ever since then, I have been in love with it. I can make so many different recipes with it and I would never run out of ideas. Before I get into how I made this soup, I would like to tell you a little back story about this soup. This recipe has been burning a hole in my SD Card for months. As a result of hurricane Irma, I lost power for about 12 hours. It was a tough experience to go through, but, my area was one of those that came out of it with not too much damage. I was afraid that the veggies in the fridge might have gone bad, so, I made a few recipes with it immediately. Its hard to see good food go to waste, right? One of the recipes I made was this lentil soup. I dumped a few veggies into a pressure cooker and added red lentils for a little vegan protein. When it was done, I opened the pressure cooker and the aroma that wafted out of it lifted my spirits. It filled my kitchen and living room with a heavenly aroma of spices and lime. I am so glad I made it in a pressure cooker because it really takes away all the work and does a very good job of cooking all the ingredients. When I first made this recipe after Irma, I went with the soup option on the pressure cooker. It was a little mushy, but, that didn’t bother me at all. 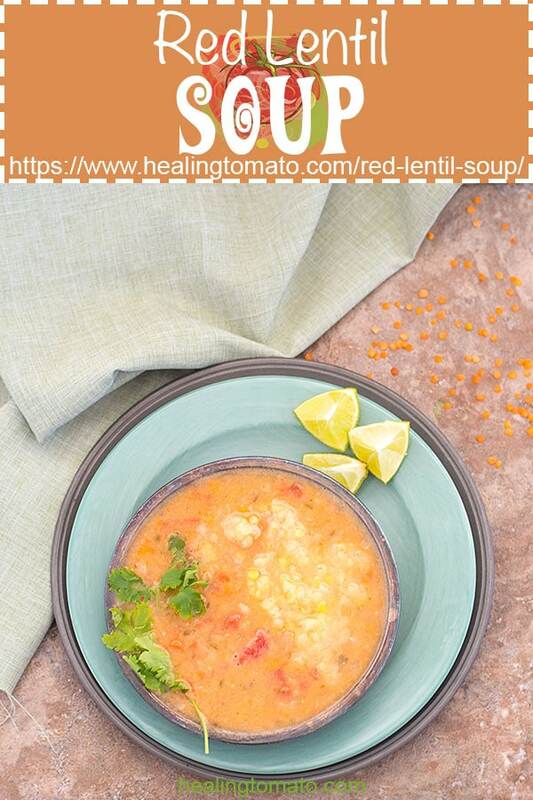 Over the weekend, I made this red lentil soup again. This time, I went with the manual option and cooked it for about 20 minutes. The texture of this soup came out a little better and it wasn’t as mushy. So, if you prefer a slightly mushy soup, go with the soup option on the pressure cooker. If you like a little texture, the manual option will be just right for you. 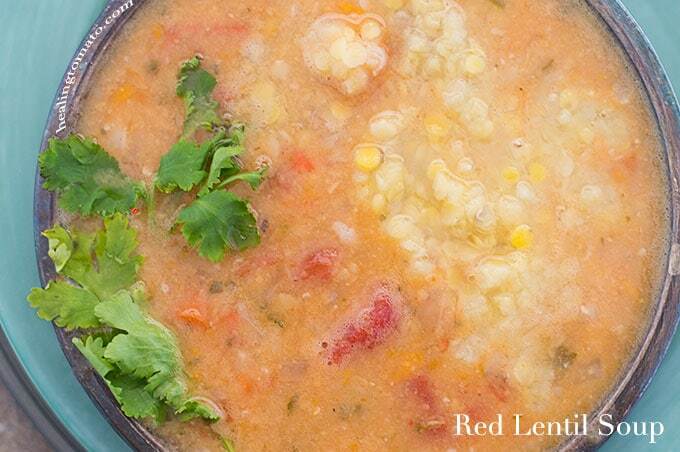 Either way, I am going to make this red lentil soup all winter long. 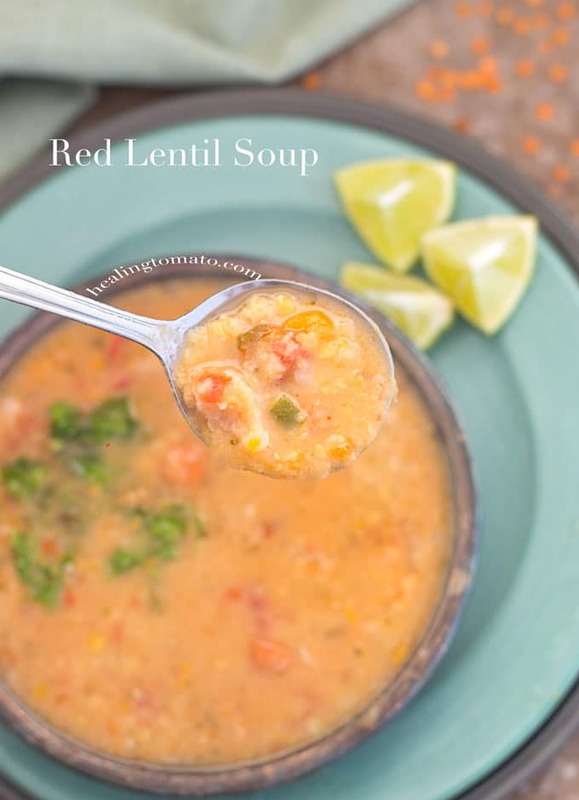 The protein from the lentil itself is worth making this soup. The best part is that there was very little cleanup involved. One-pot family meals is why the pressure cooker is the greatest invention since sliced bread! 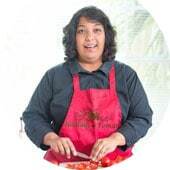 Whats your favorite pressure cooker recipe? ** For the Beet Juice, I used the Juice that's in the can of Fresh Cut Beets. ** When the steam valve is down, you should be able to open the lid. We love lentils, though I don’t think I’ve ever had the red kind! I MUST try this soup! Thank you, Phoebe. I think you will love this soup, Phoebe. 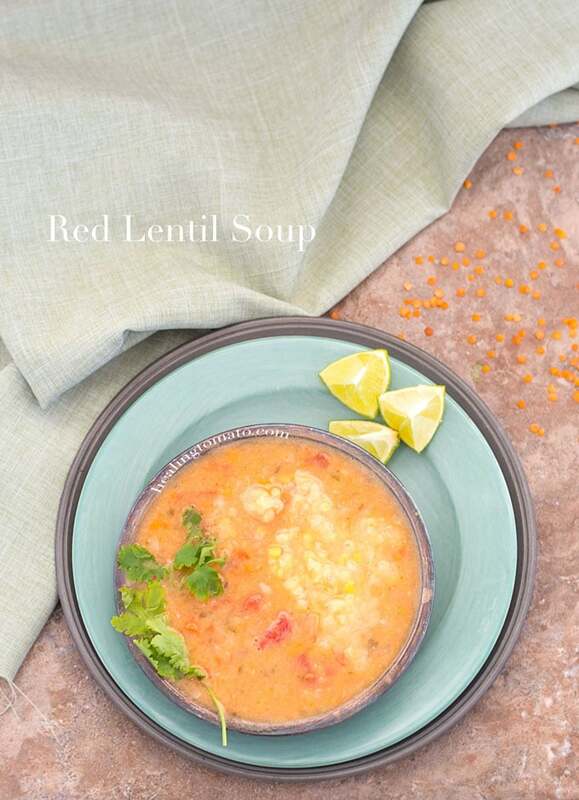 Red Lentils are so healthy and delicious. I am SO SO with you–the pressure cooker is my favorite appliance now. Thank you, Kristen! It makes life so much easier. I have to put in so little effort.